Barre45™ is a high intensity workout that incorporates elements of Dance and Pilates to elongate muscles and work them to fatigue. 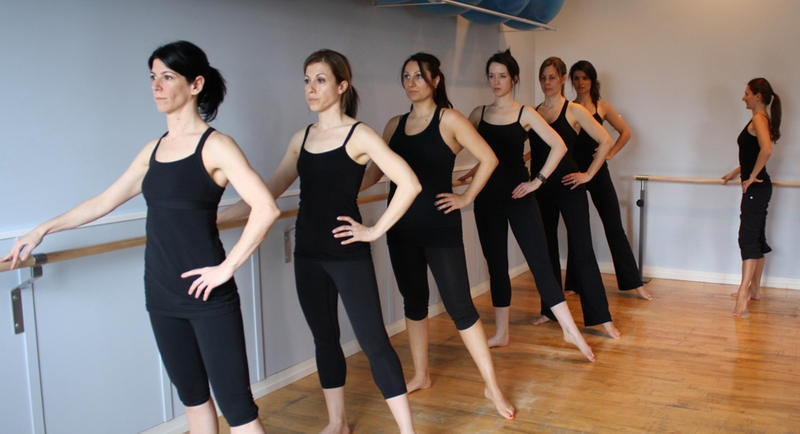 In these Barre classes, every exercise is performed on a Ballet Barre. Designed as a “dancers” workout, classes are choreographed to music and work the entire body. The idea is to warm up the body and prepare it as a dancer would. Long movements, high reps and logical counts. Your legs will shake, and you will feel the burn. To Register: Simply click the link beside the class you would like to join. You will be taken to a secure checkout page. Once paid you will receive a receipt and a welcome message from us! Please note: There are no make up classes, credits or refunds for missed trial classes. Our signature Barre workout is challenging but attainable. The Barre class is designed like a dancer’s workout, with high reps and continuity in movements that lengthen/strengthen muscles, by bringing them to fatigue. Each 45-minute session focuses on breathing and posture to improve fitness, health and achieve weight loss goals. The result is a fun exercise class, which will sculpt and tone the entire body.Barre classes are open to individuals of all fitness levels and do not require prior training in Pilates or ballet. The workout is a great addition to any fitness routine, or the class can be taken by itself, as a place to start toning and strengthening your body. Wear workout pants or capris, and a tank top or t-shirt. We workout in bare feet . We have a water cooler available at the studio, but many people prefer to have a bottle with them. Pilates North provides the mats and equipment, as well as a changing room for your convenience.What can I expect at my first Barre class? If you’ve never tried barre classes before (or even if you have), you may find that you’re working out muscles you’ve never felt before. Shaking is encouraged! Arrive 10 minutes before your first class so that we can show you around and get you prepared.I have no experience with Pilates/Ballet/Dance. Can I still come? Yes! Barre45™ was designed for every fitness level. Everyone can benefit from the routines taught. The exercises are designed to work your muscles in a new way, and you may feel shaking or burn out in your first few classes. This is normal and over time your body will be accustomed to the pace, movements and you will begin to feel the movements more fully and focus on deepening your routine.What do you do in a Barre45™ class? The 45-minute barre class begins with a warm up followed by calf, thigh, and glute exercises at the ballet barre. Free weights are then used to work the shoulders, back, chest, tricep and bicep muscles. Abdominals are then strengthened and toned with intense core conditioning, and the thighs and glutes are again sculpted with more work on a mat. Deep, isometric stretches are used to fully stretch and lengthen muscles after each set of exercises.What are the benefits of your Barre45™ classes? Barre classes offer personalized attention to ensure correct posture and alignment. Classes are non-impact and the pace is very athletic, altering from strengthening to stretching exercises nonstop like interval training. Pilates North Barre classes consist of strengthening exercises and are more effective in developing lean muscle mass than weight lifting because you are using your own body weight as resistance.How often can I take Barre classes? You can take as many classes per week as you would like. A good goal is 2-3 times per week. We focus on stretching each muscle after we work it to increase flexibility and minimize soreness. Many clients like to combine their barre classes with Pilates and TRX for a well rounded workout.Do I still need to do cardio in addition to Barre classes? 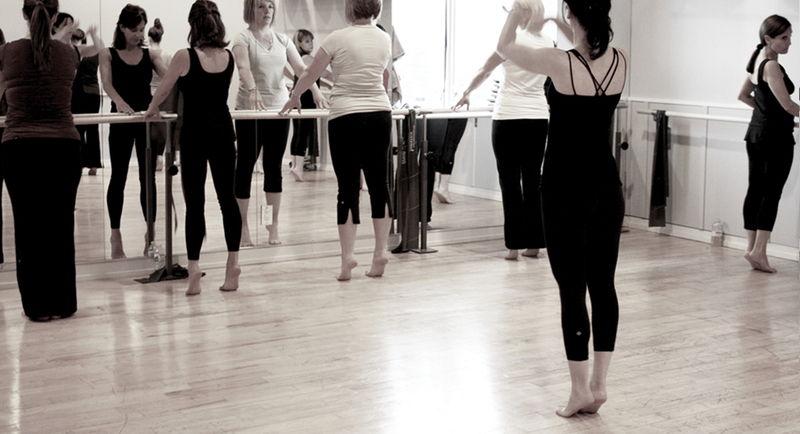 Our barre classes range from 90-120bpm, your heart rate will be elevated. It is a great class for those reluctant to join a high impact cardio class for fear they might no be able to “keep up”. It is always a good idea to consider cardio programs such as walking at a fast pace, swimming, skipping this combined with a good diet and strength training program will provide you with optimal conditioning.When can I expect to see results? Results vary per person. It is dependent on how often you attend classes or exercise a week, your lifestyle and nutritional habits. If you attend classes consistently you can not avoid feeling stronger, more toned and flexible. But the key is attending classes 8 ).What is your class cancellation policy? You are able to cancel trial classes up to 5 days in advance. Classes cancelled after this point will be refunded less a $25.00 admin fee. Same day cancellations will not be refunded. We only accept cancellations in writing through email. We are happy to work with you one on one or in a small group to customized a workout with your goals in mind. Barre classes are fun for groups of friends, or a girls night out. To book your own group simply fill out the request form below.